Job Concept With Labyrinth Future PowerPoint Templates And PowerPoint Themes 1012-Use this Graphical template to illustrate the concept of occupation, work, trade, profession, career, employment, contract, business position, post, appointment, vacancy, situation, role, function, engagement, spot, opening task, duty, responsibility, chore, assignment, activity, mission, affair, charge etc. 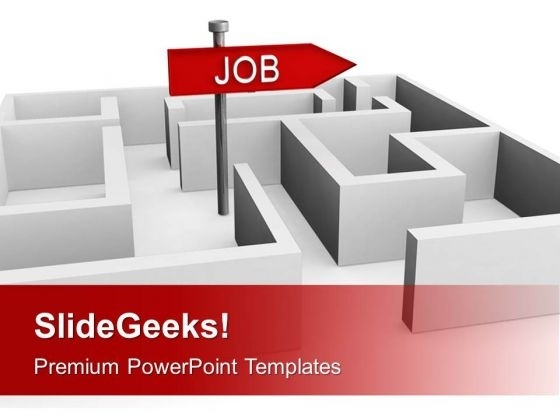 This Template shows the job sign in a puzzled way to portray the concept of low Job Market.-Job Concept With Labyrinth Future PowerPoint Templates And PowerPoint Themes 1012-This PowerPoint template can be used for presentations relating to-"Job Concept With Labyrinth, Business, Labyrinth, Services, Targets, Success" Solidify your views with our Job Concept With Labyrinth Future PowerPoint Templates And PowerPoint Themes 1012. Download without worries with our money back guaranteee. 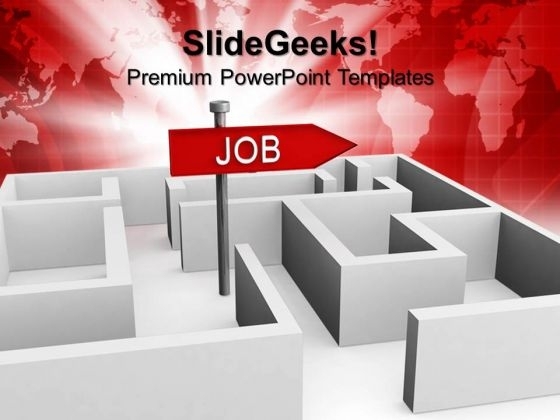 Chase your dreams with our Job Concept With Labyrinth Future PowerPoint Templates And PowerPoint Themes 1012. You will come out on top.